Parenting can be a minefield. The many approaches to how you bring up your baby can be hugely confusing for new mums and dads. It's not helped when much of the language used has multiple meanings. Here are what I consider to be three of the most misleading terms. 1. Breastfeeding. How are you feeding your child? Do you breastfeed? Or do you nurse? In my opinion the two terms are hugely different. Breastfeeding is purely about feeding your child. But nursing says something more. It's about nourishing the whole child, both with nutrition but also with love. It's about the bonding, the feeling of safety and security and the comfort your child gets from the breast. Breastfeed on demand they say. But actually, the demand for breastmilk is not always about being hungry for food. Often, it's about being hungry for human contact or reassurance too. Mums panic about overfeeding their baby or about baby using them as a dummy because of the misconception that breastfeeding is only about food. Nursing however, covers the whole range of needs that are met when baby latches on and suckles. 2. Weaning. The current UK guidance is that you should start weaning at 6 months. But what does that actually mean? Introducing solids? Or, as many believe thanks to the promotion of formula, the process of cutting down milk feeds, specifically breastfeeding? In fact, the World Health Organisation (WHO) recommends exclusive breastfeeding six months and continued breastfeeding alongside appropriate complementary foods for two years and beyond. Yes, sure, babies may well start reducing milk feeds with the introduction of solids. But, as discussed above, breastfeeding (or nursing) is about more than food. Self-weaning, where the child decides when to call it a day on breastfeeding, occurs on average between the ages of four and seven. Yet I have read of many anecdotal reports of babies 'self-weaning' much earlier. I wonder why that is. Is it perhaps because of a combination of misconceptions around what breastfeeding or nursing actually is? My definition of weaning is when milk feeds (breastfeeding or nursing) reduce and eventually stop. 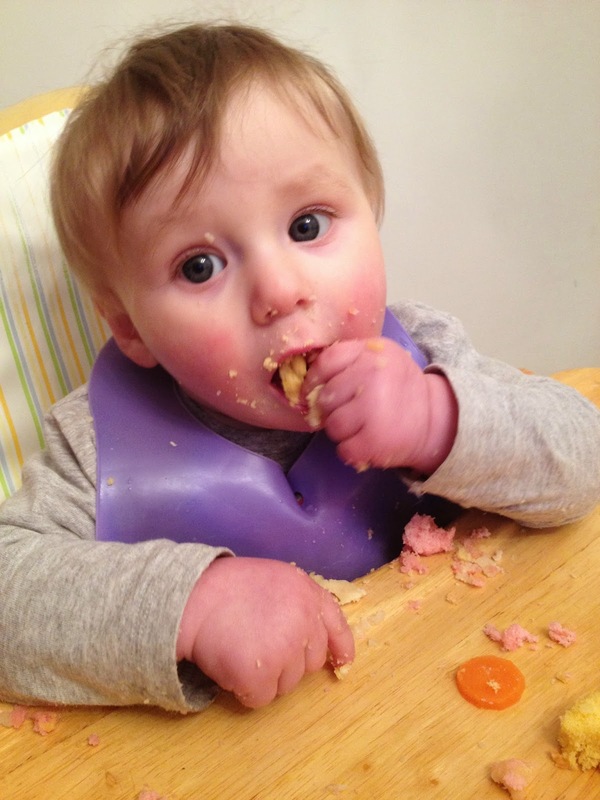 It would be far easier if the other sort of weaning should really be called what it is, introducing solids. 3. Sleeping through the night. Technically, this is when baby sleeps for 5 hours straight. Under that definition, two of my three babies were sleeping through the night at around 6 months: the age bandied around by many experts as when babies 'should' be sleeping through the night. Unfortunately for me. The five straight hours usually took place between 7pm and midnight. After midnight it has not been uncommon for me to be up hourly. So, for me, that definitely was not sleeping through the night. Sleeping through the night should be just that - the age when children (and I deliberately state children not babies) sleep for 10-12 hours straight. It should be more recognised that babies do not sleep through the night and that it is normal for them to wake frequently. That way, parents might stop beating themselves up about how they can get their baby to sleep at night. How do you define 'sleeping through the night'? What parenting terms confuse you? Maybe I should write a dictionary of parenting. urgh, the sleeping through the night definition really gets me!! !